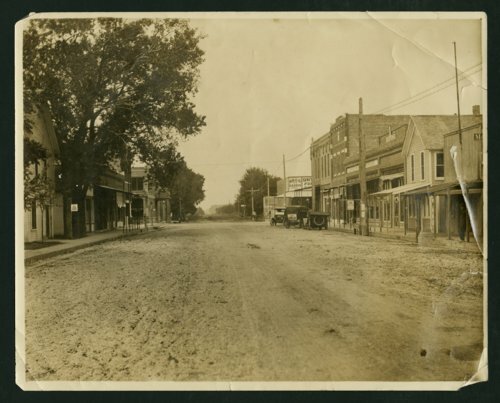 This is a photograph showing south Ohio Street looking north towards the corner of Main and Ohio Streets in Mount Hope, Kansas. The hotel is on the northwest corner and Race and Harris is on the northeast corner of the intersection. Visible in the photograph are automobiles parked on the street.